Join us Wednesday, March 8, 2017 at One-Eight Distillery from 6-9pm! Our goal is to make engaged couples confortable so they can gather information and inspiration in a laid-back setting with all the bells and whistles. Take a need a night off! Wedding planning should be FUN! Our Couples Social is a pressure-free happy hour where couples can check out a cohesive, dressed space, where vendors’ specialties and products are showcased. You’ll be able to gather info about our Participating Vendors, but in a casual environment at your own speed – and with a few drinks! Hopefully you’ll meet some awesome couples, too! HAPPY hour with inspiration – that’s what we’re about! Here at District Bliss we believe in supporting everyone regardless of race, gender, sexual orientation – anything and anyone. We are all laid-back, kind-hearted individuals working to foster a supportive, welcoming community – and hopefully make everyone around us a little happier! Sips – because what’s better than having a toasting with other rad entrepreneurs?! The Women’s Employment Network was founded in 1986 to assist women in raising their self-esteem and achieving economic independence through sustained employment. Their vision is to advance positive change in the lives of women, their families, and the community, one woman at a time. 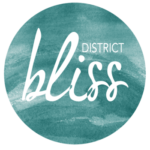 Learn more about their work and how the District Bliss community is making a difference. – What can/can’t I bring to the event? Yourself! Business cards, if you’d like to do some networking.